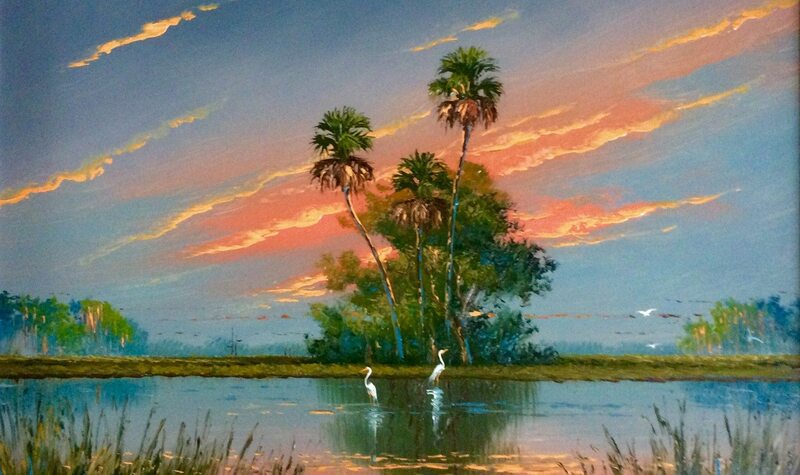 Tony Hayton was shopping online about 16 years ago for a painting depicting a Florida landscape. 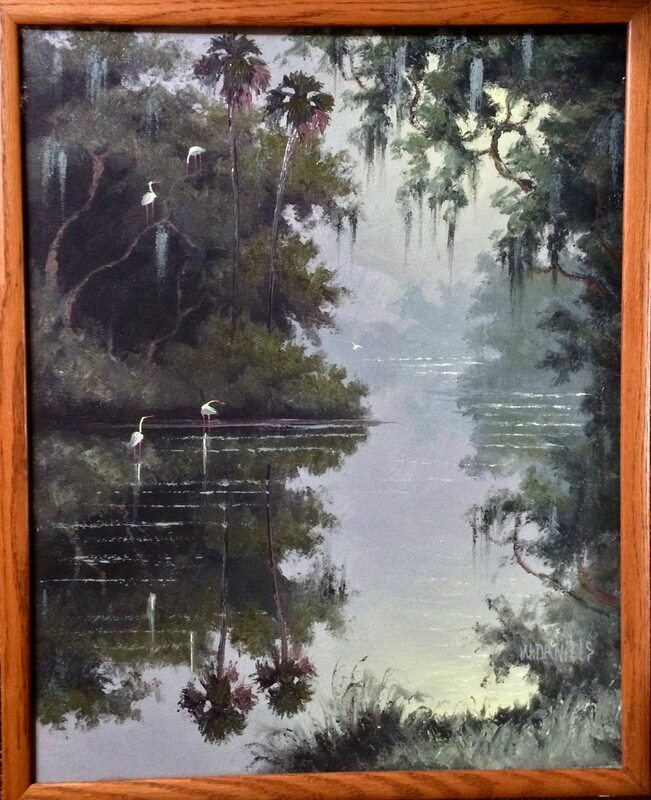 The Ottawa man with a passion for Florida knew the kind of painting he wanted. When he found it, he also found a new mission in life. Florida Highwaymen is the name given to 26 self-taught, loosely-connected African-American artists in Florida mainly active in the 1950s and 1960s. Based in Fort Pierce, on the Atlantic Coast, the entrepreneurial artists drove around Florida selling their sublime, idealized landscapes from the trunks of cars, along the roadside ,and by going door-to-door to businesses that, in some cases, they were not supposed to enter because of racial segregation laws. To reduce costs, the paintings were done on cheap construction materials, rather than canvas, and framed with crown mouldings. By the 1970s, most of the Highwaymen largely faded from view and only about half of them remain alive today. But in recent years, and partially because of Hayton, American institutions – from the White House on down – have started to honour the work of these pioneering artists. 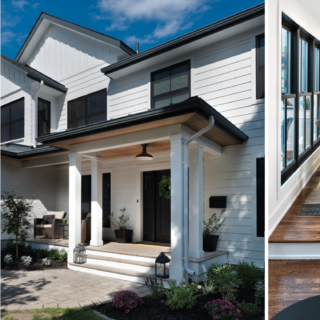 Hayton, a “white Canadian” dealer in green technology, has built a collection of 80 Highwaymen paintings and prodded institutions to mount exhibitions. In recent years, he has loaned some of his collection to about 10 exhibitions in the U.S.
And now there is an exhibition in Ottawa, running February 5 to 29 at SAW Gallery, to coincide with Black History Month. All 30 of the Highwaymen works in the exhibition are part of Hayton’s collection. They include paintings by Al Black, Ellis Buckner, George Buckner, Mary Ann Carroll, Johnny Daniels, Willie Daniels, James Gibson, Alfred Hair, R. A. Roy McLendon, Harold Newton, Lemuel Newton, Sam Newton, and Livingston Roberts. The show also includes some commissioned companion works by Canadian artists, including Ottawa painter Peter Shmelzer. 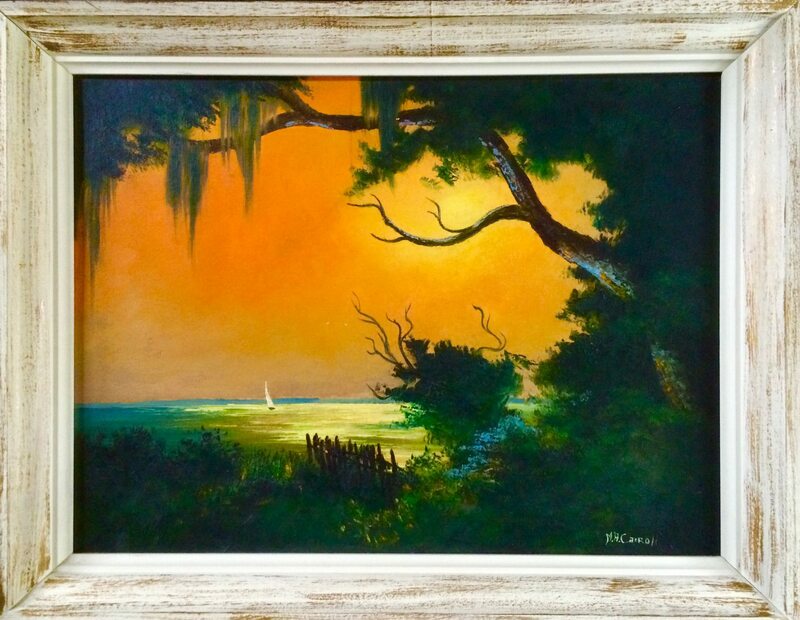 Some critics compare the style of The Florida Highwaymen to that of the highly romantic American landscape artists from The Hudson River School in the mid-19th century or the daringly colourful paintings by Canada’s Group of Seven. Other critics say the dreamy Highwaymen style is closer to folk art than to what is generally considered fine art and with heavy dollops of surrealism and kitsch. The SAW exhibition is sponsored by the American embassy and curated by Guy Berube from LPM Projects. U.S. Ambassador Bruce Heyman and his wife, Vicki Heyman, are art-friendly, organizing regular talks by prominent U.S. artists at the National Gallery of Canada. They jumped on the Highwaymen bandwagon after learning of Hayton’s large collection. Carroll had a hard life, according to a biography of her found on the website The Highwaymen Trail. Because she feared for her safety while peddling her paintings on the road, she carried a gun. When her marriage ended, she was left alone to feed her seven children. She did every odd job imaginable from lawn-cutting to carpentry to serving as a pastor. Another Highwayman, James Gibson, according to some online histories of the group, has four paintings hanging in the White House and has sold several of his works to former President George Bush, Sr. 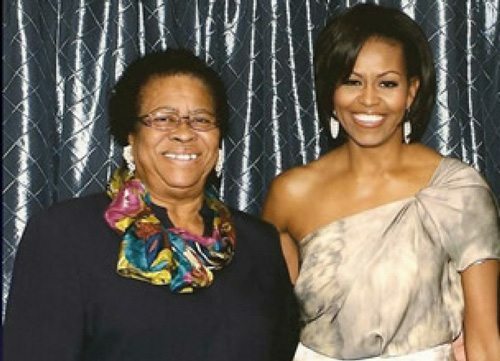 The current First Lady, Michelle Obama, has also taken an interest in the Highwaymen and attended an exhibition of their art in 2011 at Howard University in Washington, D.C. It is doubtful the Highwaymen, back in the racially segregated 1950s, ever imagined their paintings or a black president in the White House. Indeed, the artists’ landscapes and remarkable use of colour is interpreted by some as a form of escapism from the Jim Crow South.